History: This ship was undergoing boiler repairs in a northern French port when Germany invaded France. Seized on 3 July 1940 by the British while moored in Plymouth. 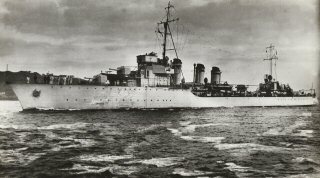 Transferred to the Polish Navy on 17 July 1940. Transferred to the Free French on 30 April 1941.